Exercise physiologists offer very unique skills. We are passionate about exercise, movement, functionality, body awareness, while also being avid promoters of leading a healthful lifestyle. We know not only how good exercise and movement feels, but how necessary it is for maintaining your physical function, that youthful feeling and sharp-mind, and just feeling at your very vital best. Sounds pretty great right? 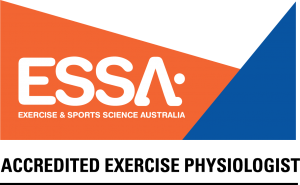 Accredited Exercise Physiologists (or AEP’s as you’ll see though out) are university educated and comply with strict professional standards set by Exercise & Sports Science Australia (ESSA). You can learn more about ESSA HERE. AEP’s have a deeper understanding of the human body than many personal trainers. We specialize in prescribing exercise for populations considered to be more complex and higher risk from a medical, physical and psychological perspective. 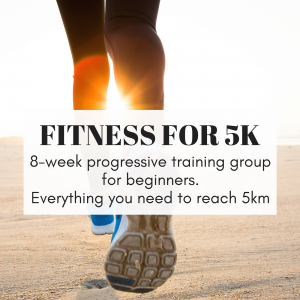 Interventions not only include the physical component but also education, support and guidance to help you create a healthy, active lifestyle that suits you. How do we differ from physio’s….? AEP’s could be considered the step between initial acute care (from physio’s, GP’s and other allied health practitioners) and you returning to normal activity. Normal activity could range from simple functional activities of daily living like house work, gardening, doing the shopping; through to your work duties, playing sports or going to the gym. Ideally we should all be working in synchronicity to achieve YOUR goals and facilitate your return to optimal everyday living sooner (whatever that looks like for you!). As an AEP my main goal is to educate you on your body, the way it moves and how this can improve your life in a BIG way. I want to see you doing all the things you want to do in your life – that may be as simple as playing with your kids, getting the house work done, perhaps it’s running a marathon or getting back into footy or mountain bike riding. I don’t believe that exercise must be really hard or intense in order to achieve your health and fitness goals – often it can be counterproductive. Let’s focus on functionality. Can you squat down and do up your shoe-laces? Do you avoid certain activities due to lack of strength or pain? Are you so exhausted at night that you struggle to even get through simple tasks like making dinner or helping the kids to bed? Or quite simply…. Can you stand on one leg? Without wobbling like crazy…? This is the functional stuff…the stuff we so often take for granted, until it’s not there…and then…. Have you said that before? Yes? Time to make an appointment with an AEP. Because it is NOT just how it is, and it most definitely is NOT because you’re just old. Functionality is the key to reducing your risk of injury and general degeneration on a physical level so you can keep on doing all the cool stuff you love to do! Our bodies love to move! They are designed to do it. I want to show you that this is possible (and enjoyable!) regardless of where your body currently is.